Home › Biorb Articles › Directions on How to Use a Fish Antibiotic Capsule in Your BiOrb Fish Tank. 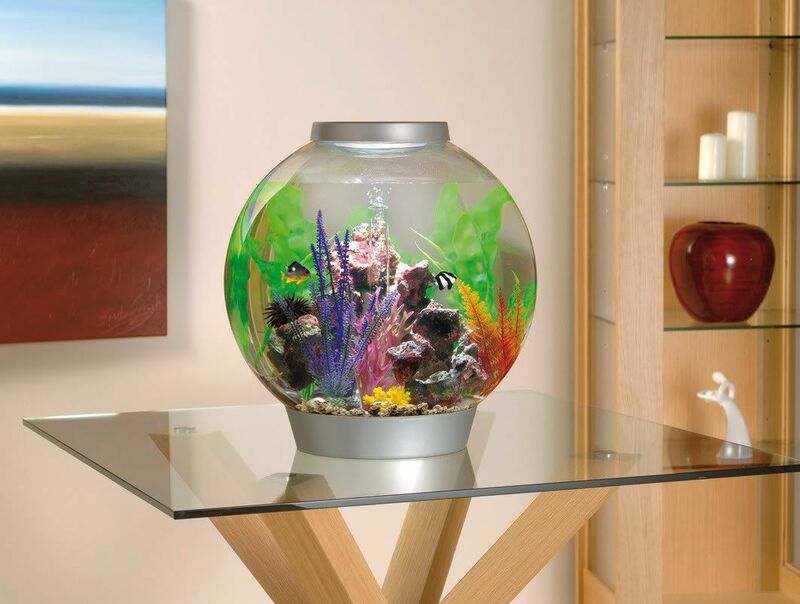 As a BiOrb Aquarium owner you know what it takes to take care of fish. You also know that owning fish can be a very rewarding experience. They add beauty to the room, and more importantly a friend to your life. As with all living things, they can get sick and may need medical intervention. There are a variety of forms that fish antibiotics come in. Fish antibiotics come in capsules, tablets and powder packets. It is essential that you know how to treat your fishy friend. We advise that you first get instructions from a veterinarian about which pet antibiotics you use for the ailment of your fish. Thomas Labs, the most prominent manufacturer of animal antibiotics, has put instructions on the labels of the bottles of the antibiotics. The capsule antibiotics are just like any capsule you would encounter with the antibiotics intended for human use. The how to administer the capsule into water is the same regardless of potency of the fish antibiotic or if it is in your BiOrb fish tank or in another container of water. You simply pull the two capsule pieces apart and pour the antibiotic into the water. The instructions for most of the capsuled fish antibiotics are the same, however, depending on the potency of the fish antibiotics there are differences. Add contents of one capsule (500 mg) into aquarium for each 20 gallons of water to be treated. Repeat in 24 hours. It is suggested that a partial water change be made between treatments. While treatment duration depends on type and severity of the infection, it is recommended that extended medication baths continue for a minimum of 5 days and not more than 10 days. Discontinue treatment with this medication if no improvement is noted within 5 days. The Instructions for the Deworming Antibiotics are a bit different. Empty 1 capsule for individual bathing in no more than 4 gallons of water. Start treatment with new water. Do not stop filtration, but remove activated carbon and UV sterilization. Distribute the amount around the edges or directly into the filter box for the best overall distribution. One treatment lasting 5 -7 days is usually sufficient, but no more that once every 3 -5 days. May be used as a preventative at the standard dosage. Do not use with any other drugs. Empty 1 capsule for individual bathing in no more than 20 gallons of water. Start treatment with new water. Do not stop filtration, but remove activated carbon and UV sterilization. Distribute the amount around the edges or directly into the filter box for the best overall distribution. One treatment lasting 5-7 days is usually sufficient, but no more than once every 3-5 days. May be used as a preventative at the standard dosage. Do not use with any other drugs. ‹ The BiOrb Complete Cleaning Kit. The Fit for All of Your Cleaning Needs!